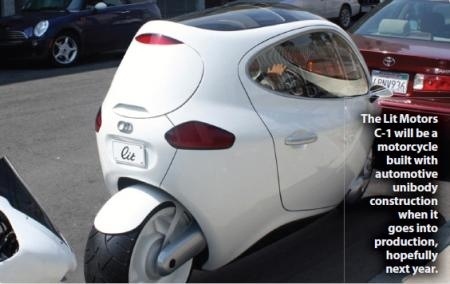 Your first e-vehicle could be an e-bike, I was thinking this very thought watching some guy in full gold wing touring togs whining along on his bright metallic red red scooter. 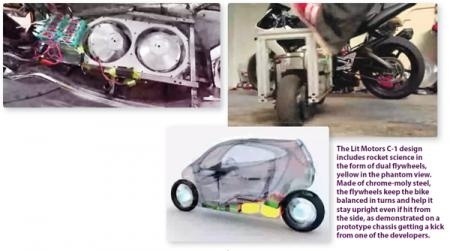 The monocoque bodied eBike with 0-60 times as good as a good sedan and space for modest shopping would be an ideal 2nd / 3rd vehicle, useful 80 to 90% of the time. Gyro stabilization makes the vehicle practical, if reliable enough. This entry was posted in Future, Tech, Technology and tagged E-bikes, machine design by Sci Fi Engineer. Bookmark the permalink.